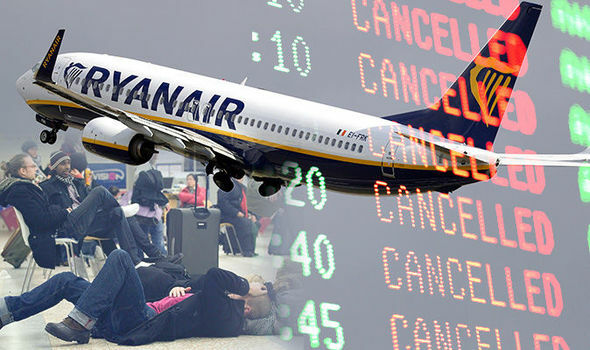 Last summer there have been a lot of flights cancelled or delayed by Ryanair due to pilots and cabin crew strikes. We all know that each airline company has to compensate its customers when a flight is cancelled or delayed for more than three hours. Ryanair refused to refund a lot of British customers so now the case is going to court. The Civil Aviation Authority said that the case of the customers that didn’t get the refund for cancelled or delayed flights is going to court. The CAA says they are entitled to compensation under EU law. According to the CAA “passengers are allowed to make an EU261 claim” when flights are delayed or cancelled. The Irish airline company said that the strike of the pilots and cabin crew is considered an “extraordinary circumstance” and they are not obliged to give a refund. In the last few months lot of flights have been cancelled without providing any alternative for the passengers. Or, as a lot of people said Ryanair offered some alternatives that were not the best option for them. The people with an existing claim will have to await that the case is taking to court by the Civil Aviation Authority. In response to the action taken by the Civil Aviation Authority a Ryanair spokesperson said: “Courts in Germany, Spain and Italy have already ruled that strikes are exceptional circumstance and EU261 compensation does not apply. We expect the UK CAA and courts will follow this precedent.” Anyway, the CAA still believes and supports the idea that those strikes were not “extraordinary circumstances” and Ryanair should not refuse to pay its customers that have been damaged. And now let’s have a look at some stories of passengers that have been damaged by the cancelled or delayed flights. Helen and her sister Abigail had to come back earlier from their holiday in Berlin because of the flight cancelled by Ryanair. People wait for their holidays during the whole year and then Ryanair decides to cancel some flights. This is unfair and disappointing. In addition, other passengers said that Ryanair offered some alternative flights the week after their booked ones. 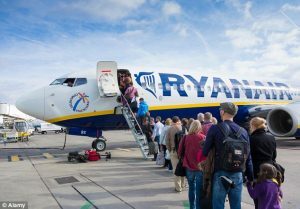 We have to take into account that the travelers were not able to take more days off or to book more days in the hotel to get the flght that Ryanair has offered. This is for sure really damaging for the passengers. Not only Ryanair has cancelled a lot of flights but it has also refused to refund its customers. In the end for delayed and cancelled flights you can always contact Flycare that can assist you with your claims.